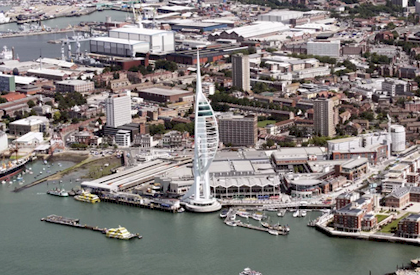 Portsmouth is a port city in Hampshire on the south coast. Located mainly on Portsea Island, it is the UK's only island city and is the only city in the British Isles with a greater population density than London. A tenth of the city's workforce is employed at Portsmouth Naval Dockyard, which is directly linked to the city's biggest industry, defence.